A directive from the Obama administration will advise officials at U.S. public school districts to allow transgender students access to restrooms that match accordingly with their gender identity. The document was co-signed by officials from the Department of Justice and the Department of Education. 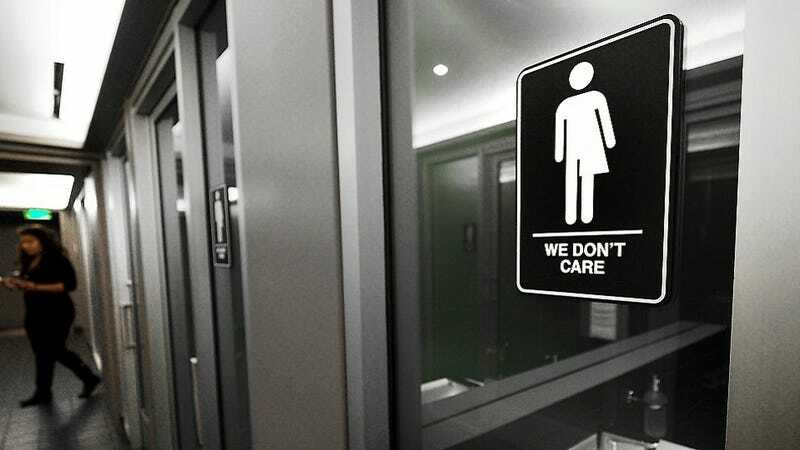 The directive comes after a months-long kerfuffle over North Carolina’s widely reported anti-LGBT bill, known as HB2, which most notably denied trans citizens access to restrooms correlative to their self-identified gender. The legislation also allowed business owners to deny service to members of the LGBT community based on personal belief. The bill has since been revised. While the directive has no legal backing, NYT also pointed out that those who fail to comply with the document, which includes a 25-page guide of “emerging practices” already upheld in schools across the nation, will most likely lose federal aid. The measures included call for respect and privacy for transgender students, like letting said students change in bathroom stalls. From what can be discerned, these rules are meant to align more with the comfortableness and safety of trans students, rather than the general majority—though nothing can be determined until the memo is sent.